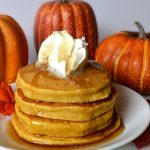 It’s probably no big news that we love pumpkin dishes at our house, since I’ve posted many recipes on here featuring pumpkin as the main ingredient. 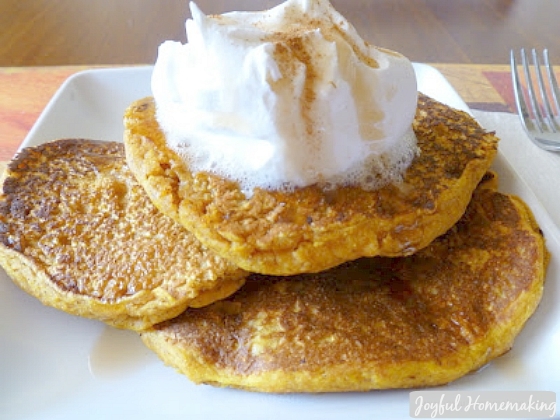 Well, I have another one for you that we recently tried, and which will now definitely be a new staple recipe, and that is pumpkin pancakes. We topped them with whipped cream and syrup and they were scrumptious, but I could just eat them plain too! 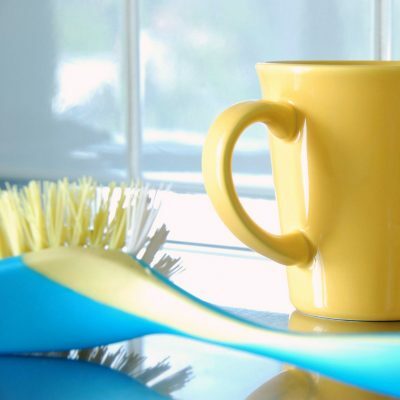 In a blender, blend the milk, pumpkin, egg, oil, vinegar and vanilla. In a large bowl combine flour, brown sugar, baking powder, baking soda, pumpkin pie spice and salt, then add wet ingredients and gently stir till combined. The mixture will be somewhat thick. 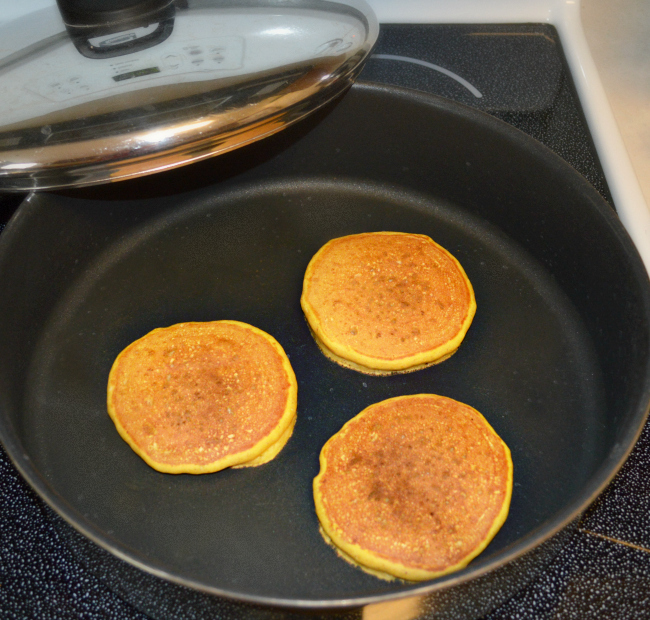 Cook on a greased griddle or in a large pan, on low to medium heat. I used a small measuring cup to pour and spread out the batter. When bubbles start to form, flip over the pancakes. Mine cooked pretty quickly, and where heavier than usual since I used stone ground whole wheat flour. If you want them really light and fluffy, I would use all white flour or pastry flour. These were so good, hearty, smelled amazing, and they give you a dose of vitamin A on top of all that. Cook on a greased griddle or in a large pan, on low to medium heat. I used a small measuring cup to pour and spread out the batter. When bubbles start to form, flip over the pancakes. Mine cooked pretty quickly, and were heavier than usual since I used stone ground whole wheat flour. If you want them really light and fluffy, I would use all white flour or pastry flour. Hope you enjoy this “pumpkiny” treat! Yum! Already getting ready for the fall? I LOVE anything pumpkin too. Those look soooo amazing!! I’ve never made pumpkin pancakes, but I’m thinking I’ll give them a try!! 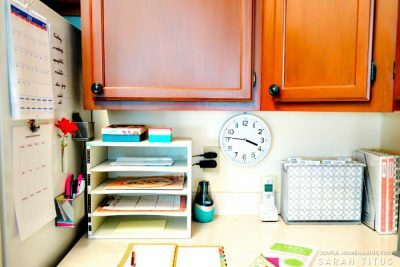 If you have a pinterest recipe you’ve tried I’d love for you to stop over and tell us about it at my blog!! These look absolutely delish! 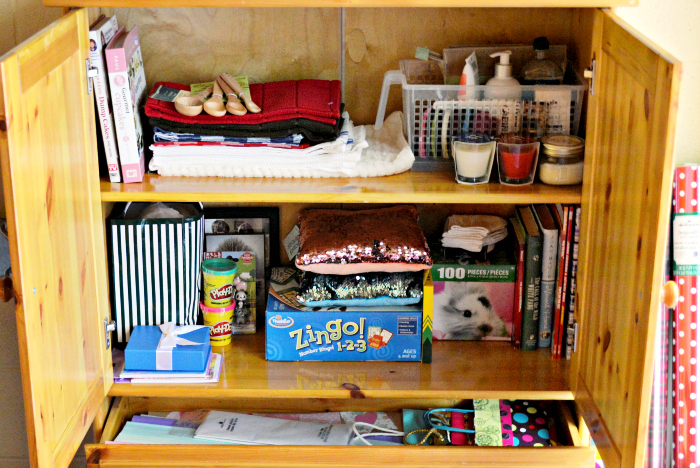 We’d love if you’d share with our Countdown to Fall link party! Hope to see you there! Have a great week! These look SO yummy! 🙂 Going to make these! These look delicious! We will have to try them soon. LOve all things pumpkin!!! My family loves homemade pancakes, such a special treat, thanks for sharing, I WILL be making these! 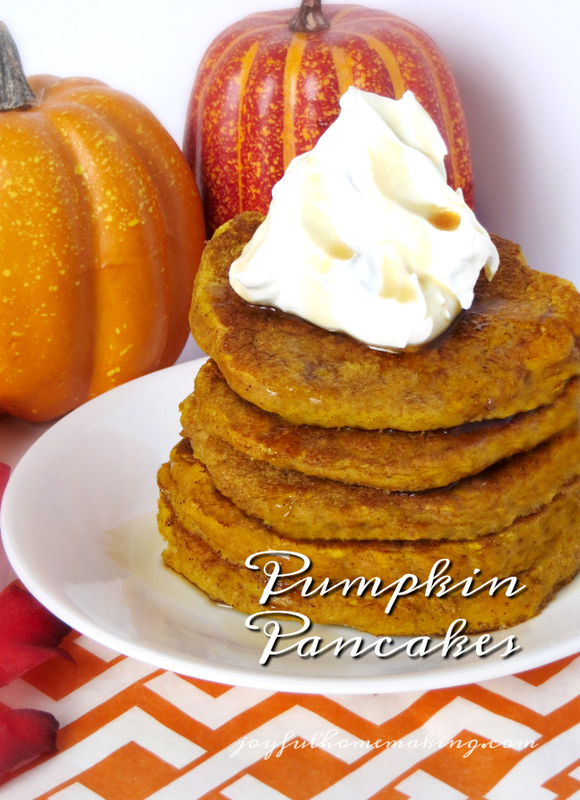 I love anything with pumpkin in it and have yet to make pumpkin pancakes….I don’t know why. Yours look easy! I’m crazy about pumpkin too! Probably because I’m a fall baby, but hey, who cares right? I can’t wait to try out your recipe. It looks super yummy! Love from your newest follower, Whimsically Homemade! Yum Yum Yum! 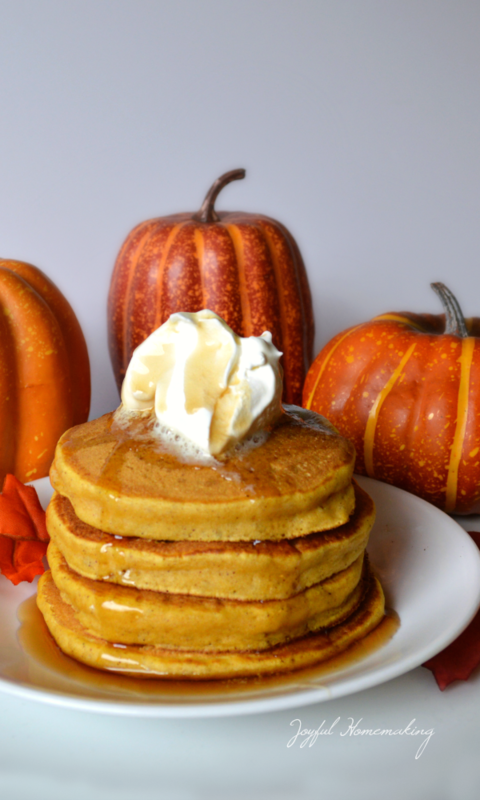 So looking forward to pumpkin season this fall…thanks for the great recipe! oh those sound prefect for the fall! 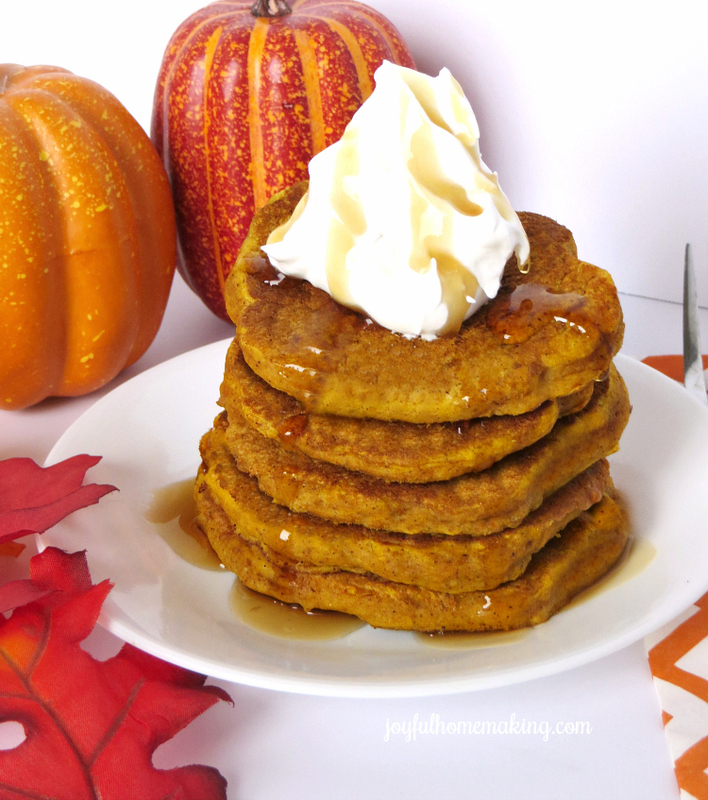 My mouth is watering right now…I love love pumpkin pancakes. I am going to try your recipe soon. Come link up to Centerpiece Wednesday and share your recipe with us and enter my giveaway. These look wonderful! I’m ready for fall! Mmm these look wonderful! I can’t wait for fall to be here so I can start making all those delicious pumpkin flavored goodies! Made these tonight, they were incredible! I added chocolate chips, yummmmmm! Oh my, these look delicious! 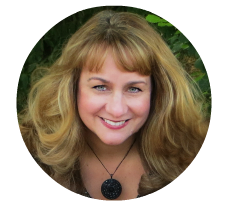 I just stubbled upon your blog and I am loving it! I will be trying these very soon…I’m sure I have a left over can of pumpkin from the holidays somewhere.